So I wouldn’t normally do this, but it is for such a good cause so I am going to! It’s the SPCA Cupcake Day soon & it’s all to help fight animal cruelty. 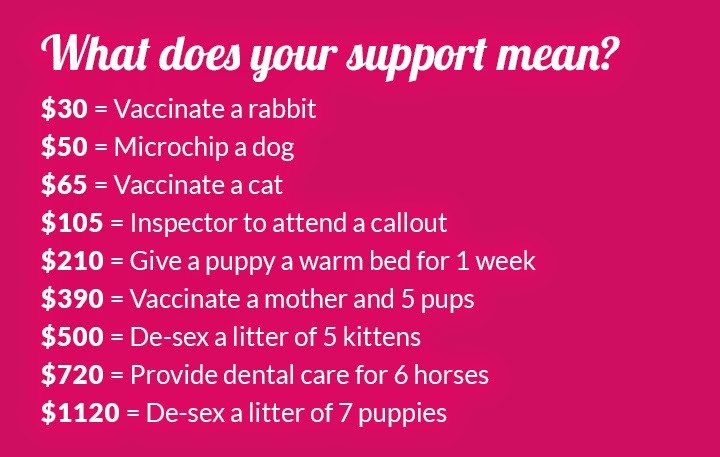 So you get to eat cupcakes & help some of our furry little friends too. To get involved visit www.spcacupcakeday.co.nz. Fight animal cruelty on August 25, 2014! By registering, baking and fundraising for Cupcake Day for the SPCA, you will be part of an exceptional group of supporters who want to make a difference. The SPCA receives no government funding so fundraising initiatives like Cupcake Day are vital to their survival & their ability to prevent animal cruelty. Your cupcakes could help give a surrendered puppy a home, rescue a neglected pony, provide emergency surgery to an injured kitten & save thousands of lives. So get baking! · Register for free here. · Wait for your host kit to arrive in the mail or check out what you can download here. 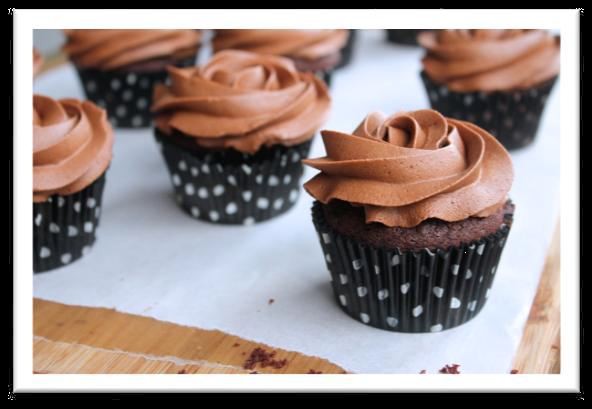 · Personalise your Cupcake Day supporter page and send it out to the world. · Hold a Cupcake Day party for the SPCA and collect donations. · Show off your creations to the world via Facebook and enter our competitions. · Return your SPCA Cupcake Day donations via your supporter page or click here. 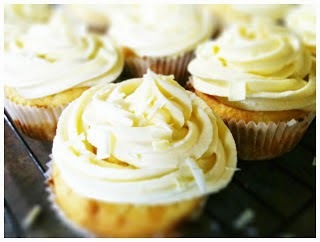 And for some inspiration here are some Lemon and Ricotta Cupcakes with White Chocolate Buttercream Frosting. 4 oz. 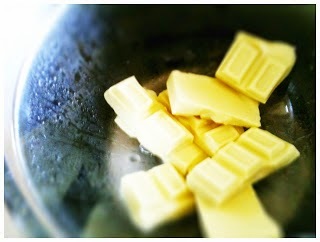 (112 gr) white chocolate, melted. I used Whittaker's. In a mixing bowl, sift together the flour, baking powder & salt. Set aside & in a stand mixer or with a hand mixer beat together the sugar & egg until light & fluffy, about 3 minutes. I even timed myself! With the motor or speed on medium-low add the ricotta, melted butter & buttermilk to the sugar mixture & begin adding the flour mixture to the sugar mixture in thirds, scraping the bowl down after each addition until fully incorporated. Gently fold in the lemon extract, zest & juice & stir gently together. Line each cup with paper liners & fill each about 2/3 of the way with the batter, to allow them a little space to rise. Place cupcakes in the oven & bake for 20-25 minutes or until light golden brown & a skewer comes out clean. For the frosting, place the sugar & butter in the bowl of a stand mixer & beat on low speed until just combined. About 2 minutes. Add the cream & turn the speed to medium-high & continue beating the mixture, until smooth. Reduce the speed to medium & slowly drizzle in the melted chocolate & fold in the vanilla until fully incorporated. Once the cupcakes have cooled, place the frosting into a piping bag with a star tip & pipe a small amount of frosting onto each cupcake or a lot! I put on what I would consider quite a lot & I still had some left over. 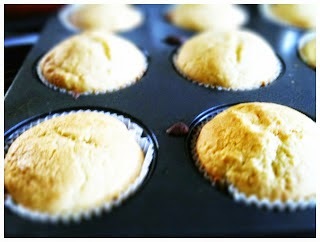 Top each cupcake with a sprinkle of white chocolate shavings & serve. They rose beautifully, even in my old & somewhat decrepit oven, so I would highly recommend this to any cupcake novices like myself. I love the texture, light but with an almost doughnut like texture. The lemon really comes through & plays off against the sweet & rich frosting. And the frosting, goodness I don't think decadent even begins to do it justice. I am looking forward to perfecting my frosting technique; there is something strangely satisfying about using a piping bag full of frosting. These went down an absolute treat in the office, so if you haven't made cupcakes before, go on & give them a go. 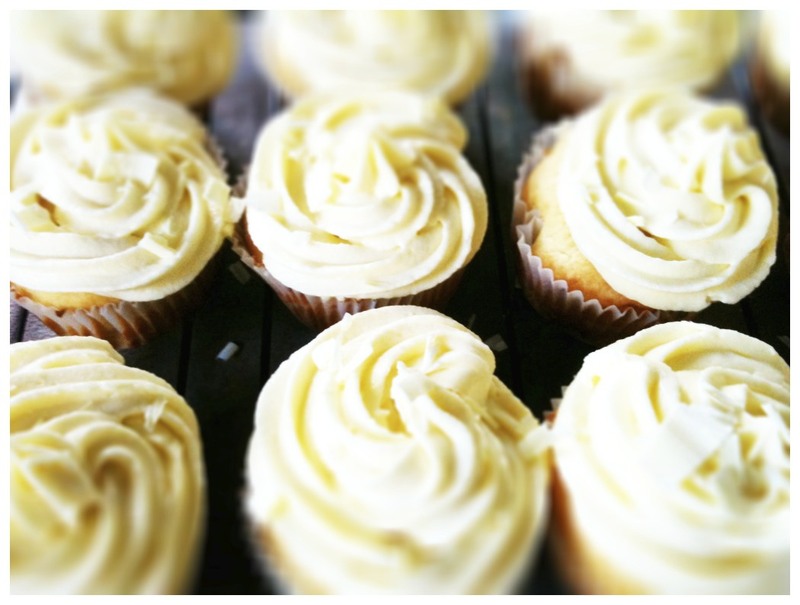 Everyone deserves a little cupcake of lemony, chocolaty decadence & you can help animals too! Preheat oven to 180°c conventional bake. Line 2 x standard 12 pan muffin tins with cupcake liners (24 total – just do them in two batches if you only have one muffin tray). Sift the flour, cocoa, baking powder and baking soda into a bowl, and stir with a whisk to combine evenly. Set aside. Cream the butter and sugar with an electric beater or cake mixer (or by hand with a wooden spoon lots of elbow grease – this will take some time!) for about 10 minutes until very pale and very light and fluffy. Scrape the sides half way through. Add the eggs, one at a time, beating very well after each addition and scraping down the sides with a spatula each time. Beat in the vanilla essence. In three parts each, alternate adding thirds of the dry ingredients and the milk. With each addition, mix gently (don’t beat) until the ingredients are just incorporated – but at the end, the mixture should be smooth. Again, scrape down the sides as you go. Use two spoons to scrape the batter into the cupcake liners, ¾ full, and bake in middle of the oven for about 16 minutes, or when no longer wobbly on top. Remove from the oven and repeat with the other half of the mixture. Cool the cupcakes in the tin for 10 minutes, then remove and let cool completely on a wire rack before icing. For the icing place the broken up chocolate and cream in a heatproof (i.e. metal, Pyrex or ceramic) bowl that fits neatly over a saucepan with about an inch water in it (the bowl shouldn’t touch the water). Simmer until the chocolate melts, stirring gently at the end to combine. Cool until lukewarm (if it’s too warm it will melt the butter later). Beat the butter and half the sifted icing sugar in a large bowl (or cake mixer) until light and fluffy. Add a spoonful of the chocolate mixture and beat to combine. Add the remaining chocolate mixture and beat again to combine. Sift in most of the remaining icing sugar and continue to beat until smooth. If you think it’s too wet, add a little more icing sugar until it’s a good piping consistency. Add cream to thin it out if need be. Spoon into a piping bag and ice the cooled cupcakes. If you don’t have a piping bag, you can use a resealable Glad bag with a corner snipped off. Photo & recipe courtesy of Chelsea Winter. Was wondering how I could get the bassets to host a cupcake party at my husband's office - I'm sure they'd boost the takings. Work of SPCA is so important. Great promotion Mairi.